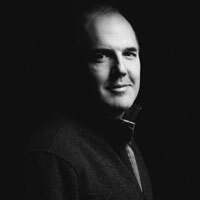 DAVID AUBURN Recent directing credits include O’Neill’s Anna Christie; Period of Adjustment; A Delicate Balance; and Zayd Dohrn’s Sick (Berkshire Theatre Festival); and the world premiere of Michael Weller’s Side Effects (MCC). His own plays include Proof (Pulitzer Prize, Tony Award, New York Drama Critics Circle Award), Lost Lake (MTC/City Center), and The Columnist (Broadway). Films include The Girl in the Park (writer/director), and The Lake House. He graduated from the University of Chicago in 1991. A former Guggenheim Fellow, he lives in New York City.